I found the system UI tuner. SpookDroid and Kirstein Gourlay like this. You need an app that can create an activity widget and then select System UI Demo. My first choice would be Nova launcher. but as soon as I do anything with the phone it returns. Just curious why someone would want to do this. 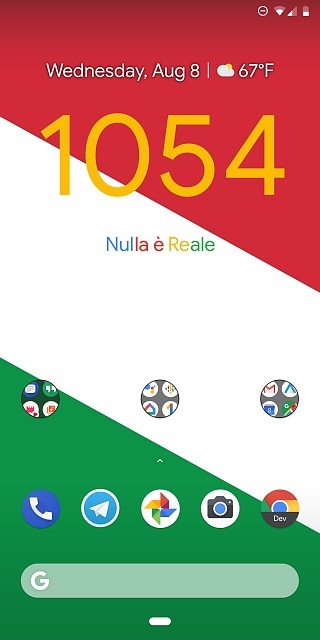 When you're in an app and want to know what time it is now you'd have to go to your homescreen, right? My guess - people here do things as a means of learning about the system - OR - just to mess around. I did that - no consistent results. ETA - this is the same phone that starting making the "send message" sound this AM for no apparent reason at all - I have a Possessed Pixel. billchat and Itsa_Me_Mario like this. I have a Possessed Pixel. billchat and 00stryder like this. I called Pixel Busters - they are sending me a new phone and my old wife - not sure how this is gonna work out. Itsa_Me_Mario and 00stryder like this. it's true that quickshortcut doesn't work well to remove the clock. mine also simply returns, mine seems to return when you add or remove other icons, like turning do not disturb on and off causes the clock to come back. Can I get rid of the whole status bar? (Notifications)? I believe that it can be done via Nova launcher. Yeah, with Nova you can remove the status bar but only on your home screens, when you open an app it will be still there. 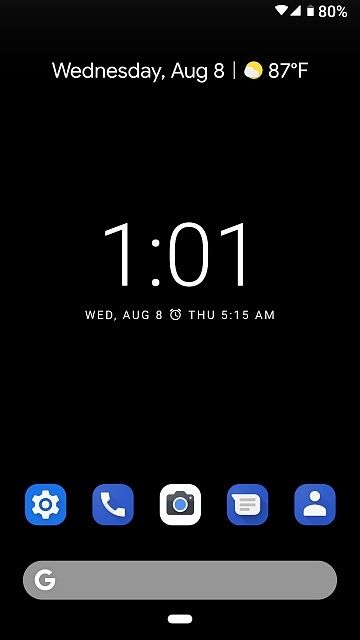 I found a solution for reappearing time in status bar for pixel 3. Just download Powershade from playstore enable it, then follow the above steps using quickshortcut, works like a charm. i reset my all my network settings on my android Moto G play phone.